This past weekend I was absolutely delighted to collaborate with a photographer (and friend!) 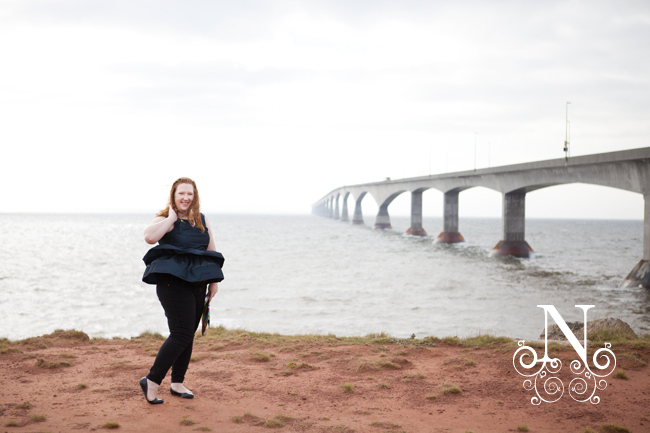 who lives and works on the Island - the talented Nancy of Nancy Thomas Photography. 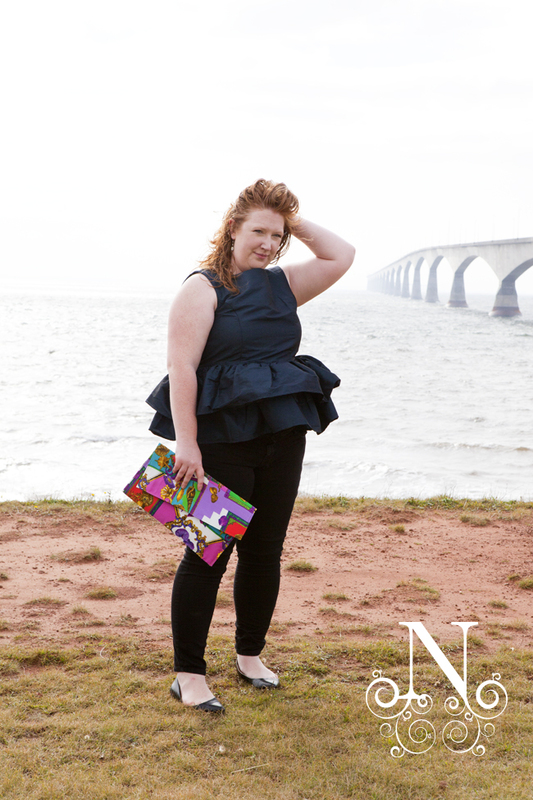 We had the most beautiful weather, and travelled to some of my favourite spots to snap some outfit photos. First stop? 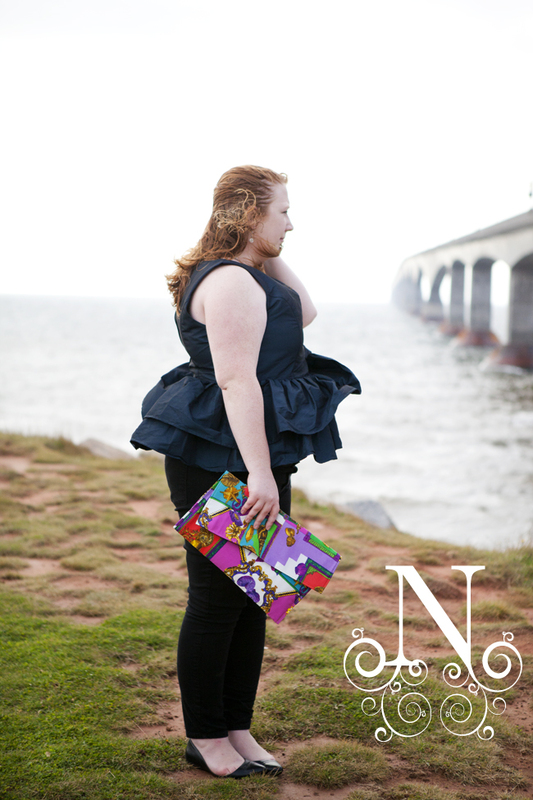 The Confederation Bridge! There's a little park where you can look out over the water where the bridge stretches out toward New Brunswick, and since I discovered it (only just this summer!) I thought it would be a great place to shoot an outfit post. Up until now, I've done all my outfit posts on a self-timer, and would spend ages trying to get just the right shot. 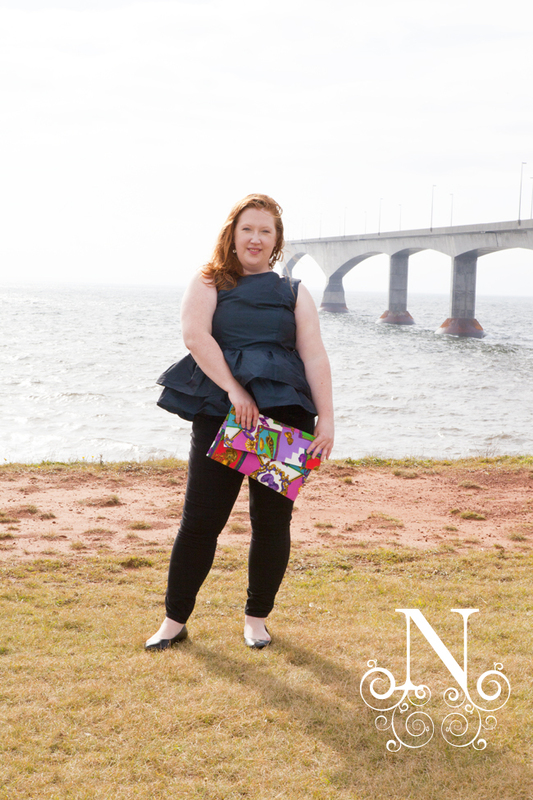 I was both excited and nervous to let an actual photographer take my photos - but as part of this whole Style Blogging for Confidence project of mine, I thought it'd be a good way to get out of my comfort zone and also feature some local photographic talent! Lucky for me, Nancy was a ton of fun to work with and she managed to get some great shots while also sharing lots of laughs, in this case about the crazy peplums that kept getting carried away in the wind. I could not have had a better time - and have to send out a big thank you to Nancy for being a true professional in addition to being super fun to hang out with on a lovely fall day! 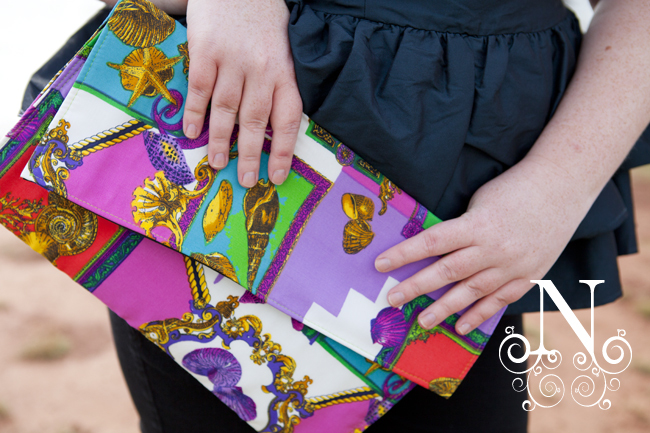 That clutch is a stunner! Love these photos! 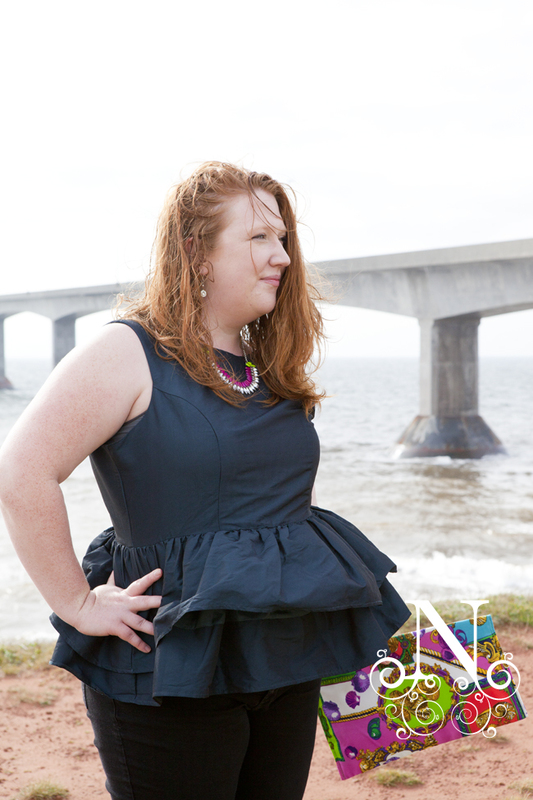 Gorgeous photos - love your peplum top!